Yes it did. Many economists will say that quantitative easing is a new methodology and we don’t know yet if that is the reason for the economic upswing. However, we have years of data that show a correlation between the money that was injected into the economy and the prices of housing as well as the stock market. 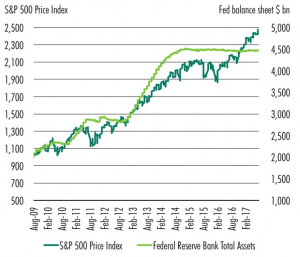 Take a look at the chart below and you will see just how correlated the money the fed spent and the stock market prices have become. You can see that the fed was able to propel the economy forward and continued to do so through February of 2015. From February of 2015 the federal reserve stopped injecting money when the balance sheet hit 4.5 Trillion dollars. The economy continued to do well for some time beyond that as the federal reserve also kept interest rates are near zero. So isn’t the federal reserve reversing quantitative easing now? Well yes and no. The federal reserve began to raise interest rates and sell off some of its assets in 2018. If you followed the stock market closely in 2018 you will know that the dow jones was down over 5 percent for the year. So the first time that the United States economy didn’t have near zero interest rates and money being pumped into it from quantitative easing it lost money. The federal reserve raised interest to 2.5 percent less than half of what the rates were before the economic crisis of 2008. When the markets began to freak out the announced they would not raise rates for the remainder of 2019. 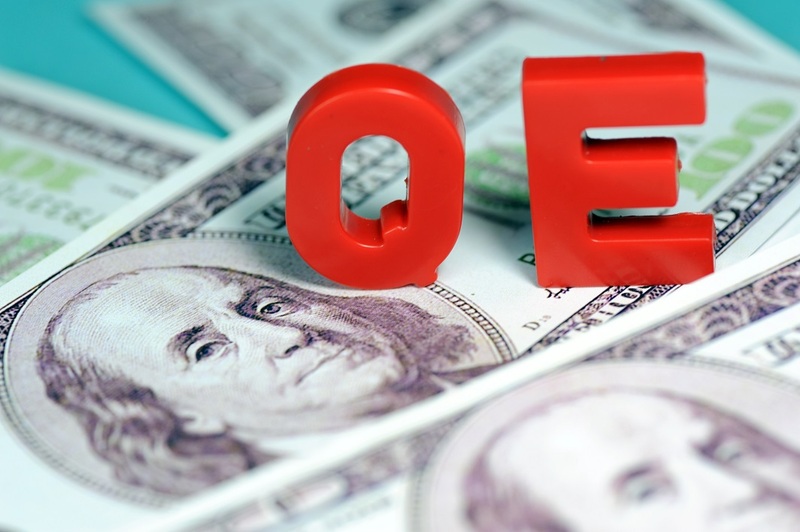 They have been vague about quantitative tightening but many economists believe they will put that on hold as well. So what does this mean for real estate prices? We are at an inflection point in the U.S. Economy. We have what looks to be very weak economic data. We can’t get the federal funds rate above 2.5 and when the federal reserve reduces the massive balance sheet it has, the economy starts to tank. So this sounds bleak right? Well its slightly more complicated than that. The trump administration just recently stated that it would like to see a half a percent drop in the interest rate. This would bring the federal fund rate down to 2 percent. If the economy shows signs of weakness the federal reserve could also just start to ramp up quantitative easing again. It would stand to reason that easing will not be as effective as it was last time, but it would be foolish to think it would have no effect at all. So it really comes down to judging how weak the economy is and how much the federal reserve is willing to do to keep a recession from becoming a reality. Another thing to keep in mind is that we have an election being held in November of 2020 and we are already seeing signs that the administration wants the federal reserve to keep the easy money party going at least that long. So what do you think? Are we going to continue moving up like we have been for the past 10 years? Or are we due for a recession? Let us know in the comments section below.